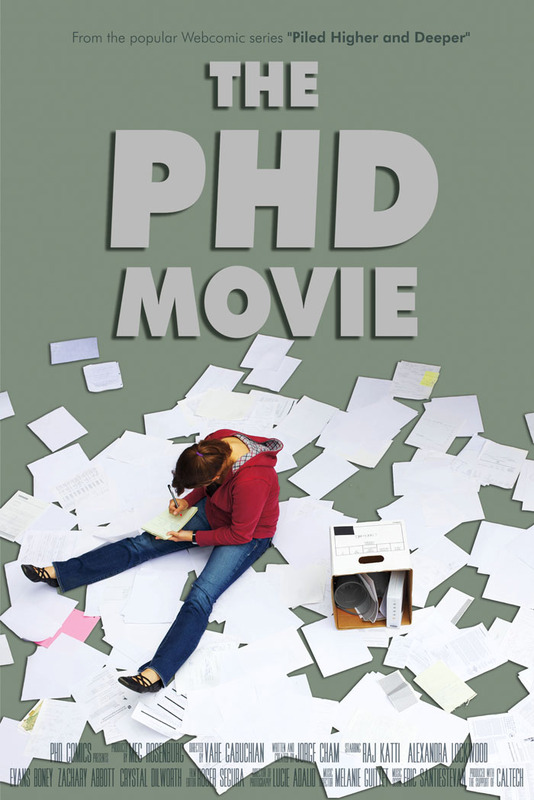 The Magnet Foundation is hosting a free screening of The PhD Movie at the Blair auditorium on Thursday, May 17, 2012 at 8:00pm. Alex Lockwood will be in attendance to answer questions and meet with alumni and students. Please RSVP on Facebook. We hope to see you there! Every day, graduate students from around the world check “Piled Higher and Deeper” (PhD) as a part of their daily repertoire. Alexandra Lockwood, 2003 Magnet alum and current PhD student in Planetary Science at the California Institute of Technology, was one of the many faithful followers of the webcomic, which chronicles the academic life of a graduate student. And so, when the comic’s creator Dr. Jorge Cham came to the Caltech to hold auditions for a live adaptation of the strip last fall, Lockwood seized the opportunity to meet the famed cartoonist. One low-key camera recording later, she was cast in a starring role as Cecilia, the comic’s female protagonist – a big step from her previous stage experiences (an extra in “Hello Dolly” and a small role in “A Tale of Two Cities,” both at Blair). Coincidentally, Lockwood knew some of her cast and crew-mates prior to production. “The producer actually used to be my office mate, she’s another grad student,” she says. “The guy who plays the male lead is an undergrad student in the house that I’m an RA for.” But throughout the whole production process, everyone involved bonded together -- and Lockwood also developed a friendship with Cham. “I had such a little nerd crush on him and now he’s one of my good friends,” she says. After the movie went through its editing stages – the only phase of production done by a professional – it premiered at Caltech in the fall. Over 1500 people joined the cast and crew for an opening night so big that an overflow room had to be opened. The evening featured bands whose music was featured in the movie as well as local food trucks. Throughout the fall, Lockwood was able to join Cham at a few of the screenings throughout the United States and Europe. As part of the “tour” she was able to make a stop at the University of Maryland, her undergraduate alma mater, where friends from home and Blair as well as old professors attended the showing.